Cash Buyers accounted for 27.5% of October 2013 Southland home sales, compared with 32.8% the year before. They paid a median price of $337,000, up 34.8% from a year earlier. Since 1988 the monthly average for cash buyers is 16.3%. Absentee buyers (investors) bought 26.5% of Southland homes sold in October 2013. Absentee buyers paid a median price of $316,000, up 30.8% from a year earlier. The monthly average for absentee buyers since 2000 is 18.4%. All lenders combined provided $5.7 billion in mortgage money to Southern California home buyers in October 2013. Home buyers in October put $4.3 billion of their own money on the table in the form of a down payment or as an outright cash purchase. Foreclosure re-sales (properties foreclosed on in the prior 12 months) made up 6.3% of the Southland re-sale market in October 2013, the lowest level since it was 5.5% in May of 2007. That was down from 16.3% in October 2012. Foreclosure re-sales peaked at 56.7% in February 2009. Short sales made up an estimated 12.9% of Southland re-sales in October 2013. That was down from 27.2% in October 2012. The typical monthly payment that a Southland buyer committed themselves to paying in October 2013 was $1,499.00, up from $1,115.00 a year earlier. Adjusted for inflation, last month’s typical monthly payments are 48.8% below the current cycle peak of July 2007. 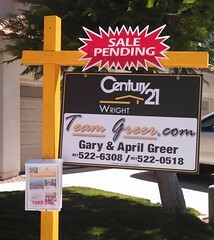 Curious what this all means for your your home in Southwest Riverside County…what we refer to as the Temecula Valley? Reach out to us however you feel comfortable and we can give you an idea of what your home is worth by providing you with details on the sales around you that have occurred most recently. SOUTHLAND MEDIAN SALES PRICES CONTINUE TO BE UP SHARPLY…MONTH TO MONTH-YEAR OVER YEAR. Cash Buyers accounted for 27.6% of August 2013 Southland home sales, compared with 32.3% the year before. They paid a median price of $325,000, up 31% from a year earlier. Since 1988 the monthly average for cash buyers is 16.2%. Absentee buyers (investors) bought 26.3% of Southland homes sold in August 2013. Absentee buyers paid a median price of $310,000, up 31.4% from a year earlier. The monthly average for absentee buyers since 2000 is 18.3%. All lenders combined provided $6.36 billion in mortgage money to Southern California home buyers in August 2013, up from $5.45 billion in August 2012. Foreclosure re-sales (properties foreclosed on in the prior 12 months) made up 7.1% of the Southland resale market in August 2013, the lowest level since it was 5.5% in June of 2007. That was down from 19.2% in August 2012. Foreclosure re-sales peaked at 56.7% in February 2009. 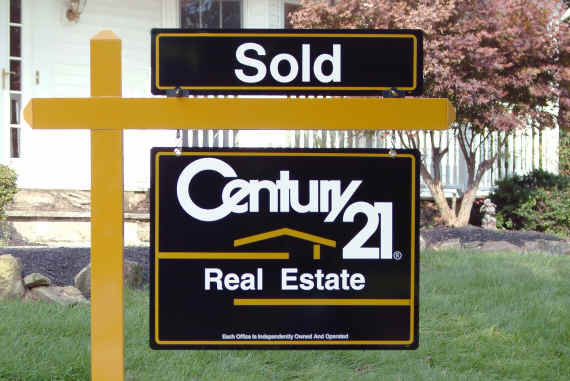 Short sales made up an estimated 13.6% of Southland re-sales in August 2013. That was down from 26.6% in August 2012. The typical monthly payment that a Southland buyer committed themselves to paying in August 2013 was $1,545.00, up from $1,124.00 a year earlier. Adjusted for inflation, last month’s typical monthly payments are 47.1% below the current cycle peak of July 2007. *Median Price=half more/half less. * All information deemed reliable but not guaranteed. For questions or financial, tax or estate planning, we suggest you contact an attorney or certified public accountant. Are you considering investing in real estate in our market area? Let us know how we can help! 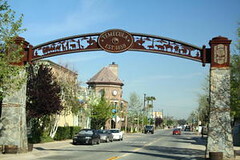 Check out this video summarizing where the real estate market is at right now in Temecula.